It's the start of 2019 and a chance to think about what your plans for your medical career this year. Here are a few tips to get you started. LinkedIn is becoming a must have for professionals and doctors are no exception. Not only is it a great platform for storing your education, work history and past achievements. Its also a platform for getting noticed. So you don't want future and prospective employers to be reviewing your LinkedIn profile and noticing something awry. There's nothing worse than checking out a LinkedIn profile where the candidate's last position is listed as Intern at Hospital X, when they are now a Consultant. Make sure everything is up to date. Whilst you are at it. Make sure you go through facebook and twitter if you use these. Facebook is now also a platform where some are establishing a professional profile. So if that's you, make sure everything is professional to public viewers AND/OR review your privacy settings. Go through your Twitter feed. Think about deleting any Twitter posts (as well as retweets) that may be seen as controversial by any employer. It may be some time since you have spoken with your referees. If you are planning on needing them this year now is a good time to reconnect before the year starts to get away. just drop them a quick email to let them know your plans for 2019 and to remind them how they know you (some referees see a lot of trainee doctors so it can be hard to keep track). If you are planning on applying for a new job this year you probably know this already and know what you are aiming for. You will have some months before the interview arrives. Now is a great time to put a plan together. Review the position descriptions from past years to see what the selection criteria are likely to be. Talk to current incumbents and supervisors. If it s a training position check out the College application requirements and try to talk to the Director of Training. You should allow time to fill in the job application. Again you may be able to find information from past years that gives you a guide to how this will work. You will also need time to review your CV. More on this below. Interview practice is the most important part of your plan. You should allow plenty of time to prepare for the interview and practice potential questions. There are lots of short courses that can help you improve your application (for example advanced life support or trauma courses). Particularly for trainee roles. If you are already in training you might be considering an exam preparatory course. Getting leave approval for these courses may be difficult and sometimes the course numbers are limited. Now's the time to book that course and get your Manager's approval to attend. Your Manager will love you for being proactive. Any doctor job application CV should where possible be tailored to the post. This takes time (although sadly in many cases not long to be reviewed). You may never have had to put together this document before so this will likely increase the time required further. It also can be confusing what the difference between a CV and a Resume. 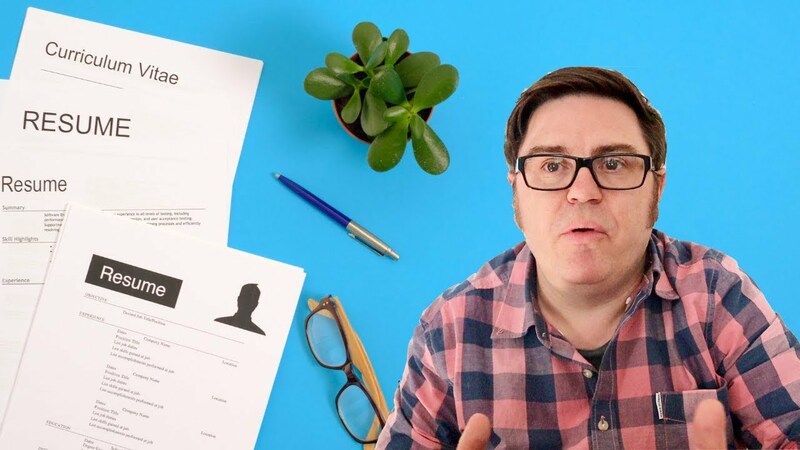 Even though employers ask for a CV they really mean something closer to a resume. When preparing your CV for medical job applications its helpful to see some guides and examples. Here is a doctor CV example that would be suitable for a trainee doctor application. 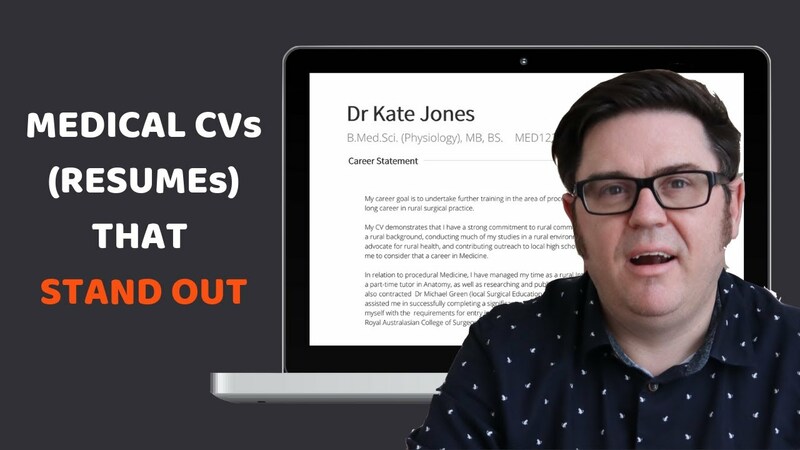 You can also review the video below which goes into greater detail about how to compile an appealing CV for doctor jobs.